Hands on the Future, Director Kevin Doyle, Safaricom Foundation trustee Stephen Chege, H.E Amb. Dr. Amina Mohamed, Cabinet Secretary for Education and H.E. 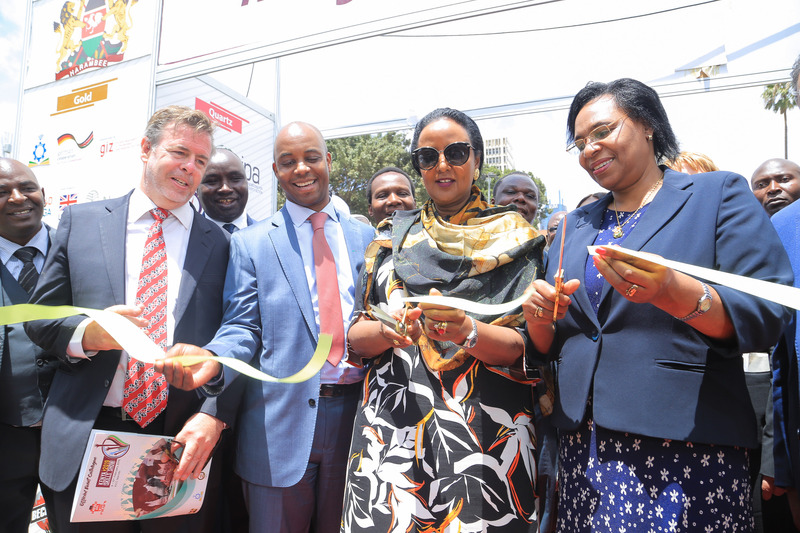 Prof. Margaret Kobia, Cabinet Secretary for public Service, Youth and Gender Affairs cut the ribbon during the official launch of Hands on the Future Kenya skills show at KICC. At least 3,000 youth are set to benefit from a Technical Vocational Education and Training (TVET) programme over the next two years funded by Safaricom Foundation. The foundation has set aside KES 132 million for the programme to be disbursed over the next two years that will see ICT enabled skills centres set up across the country. 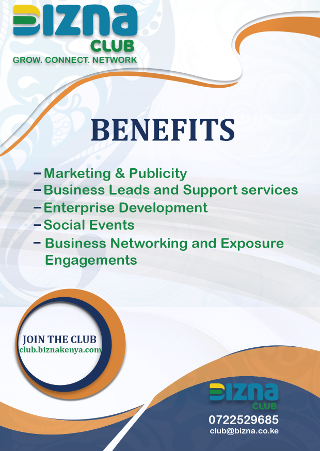 The pilot phase of the programme will be implemented at the Waithaka Technical Training Center through a partnership with the County Government of Nairobi, Technical and Vocational Education and Training Authority (TVETA) and the National Industrial Training Authority (NITA). “The programme will focus on entry level training for four key areas within the construction industry namely welding, plumbing and electrical engineering. The funds will be used for student’s fees, teacher training, setting up smart classrooms and construction of state of the art workshops” said Stephen Chege, Trustee, Safaricom Foundation. An analysis by the Higher Education Loans Board shows that employability for people with technical and vocational education and training is at 96% compared to 40% among those with a university degree. “Of greater concern is the fact that most graduates are neither ready for the job market nor do they possess the technical know-how that would help them run their own businesses or create employment. This highlights the clear gap between the market needs and the technical and vocational skills available in Kenya which we aim to address,” Chege said. The TVET Centres will provide best practices in skills training, effectively addressing emerging skills gaps, aligning training with industry needs and engaging industry, government, and corporates for a holistic skills ecosystem.